MyFigueroa construction is progressing! Bus platform installation on Fig is happening this weekend and through the following week. 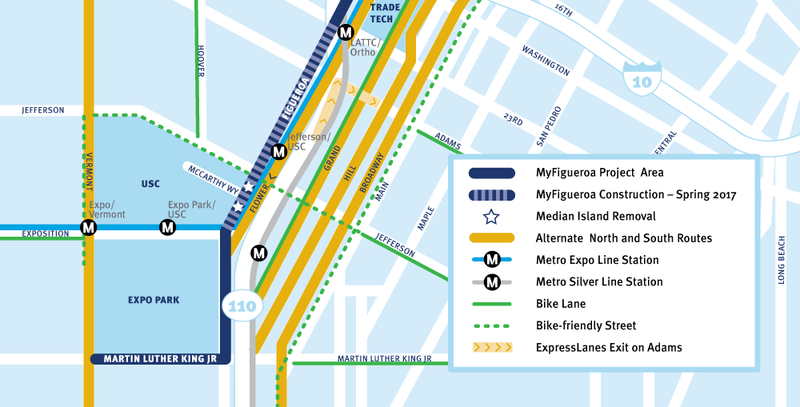 Construction crews will install five new, specially designed bus platforms on Figueroa, between Exposition Blvd. and 23rd St.
As mentioned before, this work will require some parking restrictions and limits to turning movements along Figueroa, in order to maintain two lanes of moving traffic at all times. While work is expected to only take place during the day, these changes will remain in place overnight and for the next several weeks.